I will treat the outdoors as a heritage. I will take care of it for myself and others. I will keep my trash out of lakes, streams, fields, woods and roadways. I will prevent wildfire. I will build my fires only when and where they are appropriate. When I have finished using a fire, I will make sure it is out. I will leave a clean fire ring, or remove all evidence of my fire. I will treat public and private property with respect. 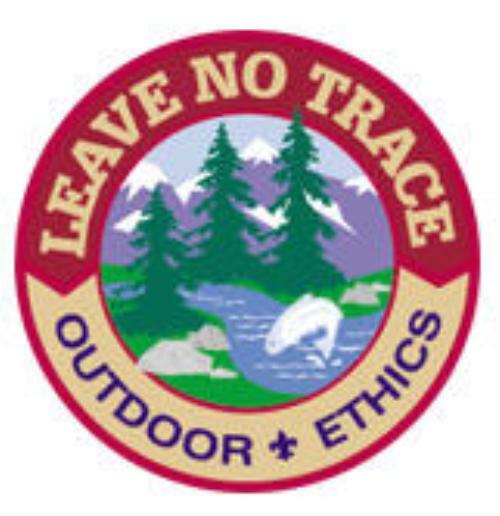 I will follow the principals of Leave No Tract for all outdoor activities. I will learn about and practice good conservation of soil, waters, forests, minerals, grasslands, wildlife and energy. I will urge others to do the same.